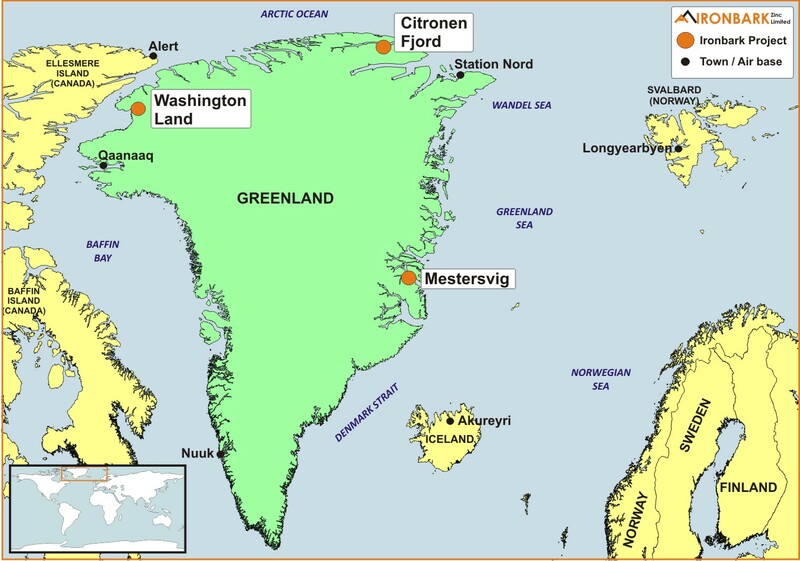 Ironbark has three projects in northern and eastern Greenland targeting base metals – the world class Citronen Zinc-Lead deposit, the Mestersvig Project containing the historic Blyklippen Lead-Zinc mine and the prospective Washington Land Project. 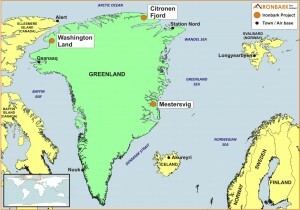 Greenland geology ranges from the Archaean to present. Ironbark has focused primarily on projects within the Paleozoic Franklinian Basin in northern Greenland. This sequence of Ordovician (~400Ma.) rocks spans roughly 2,000km, running E-W across northern Greenland into northern Canada. This stratigraphic sequence is well mineralised with base metals (zinc-lead-silver) and hosts several Mississippi Valley type (MVT) and SEDEX type deposits. Further geological descriptions can be obtained from the Greenlandic Bureau of Minerals and Petroleum website.